Ducati’s new Scrambler 1100 will appeal to those riders who liked the style of the original, but were put off by its size and lack of oomph. 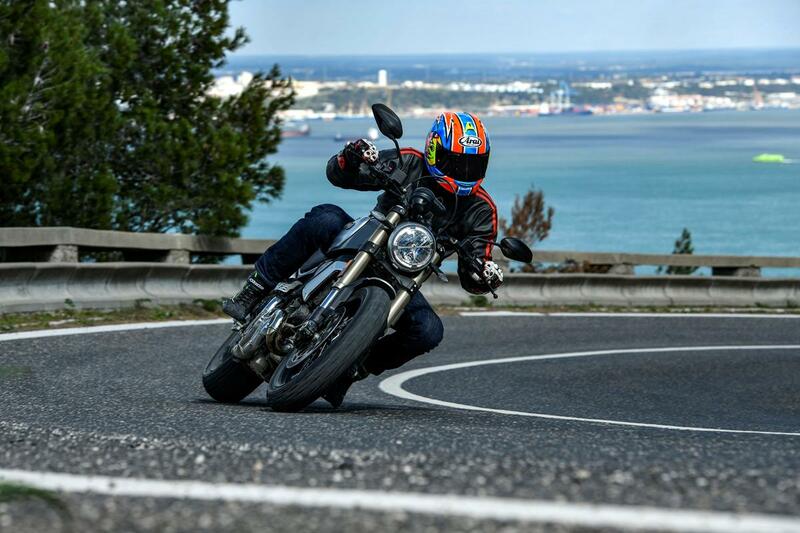 The 1100 is a retro that has big bike performance to match its looks, is built like a true slice of Italian exotica and has the speed, grunt, character and handling to put a smile on your face. But, the suspension is a little crude and for its engine size we were hoping for a little more speed and pizzazz. 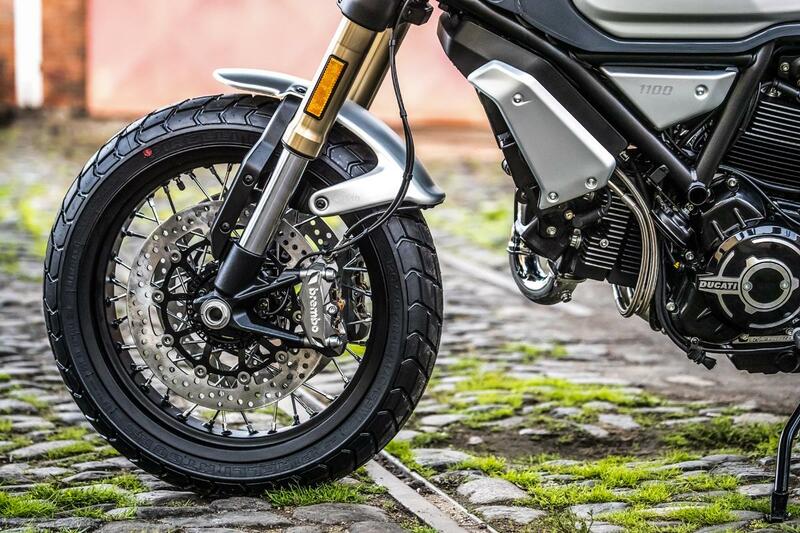 The Ohlins suspension improves the ride quality over the standard Scrambler 1100 and provides you with far more adjustment and a greater feeling of exclusivity. However, £1600 extra is a little steep for the Sport and it’s not as if the standard bike is poor - it's far from it. If you’re used to sophisticated multi-adjustable suspension and regularly play with your settings, then upgrade to the Sport, but if not, then the standard bike is still fine and a brilliant road bike. 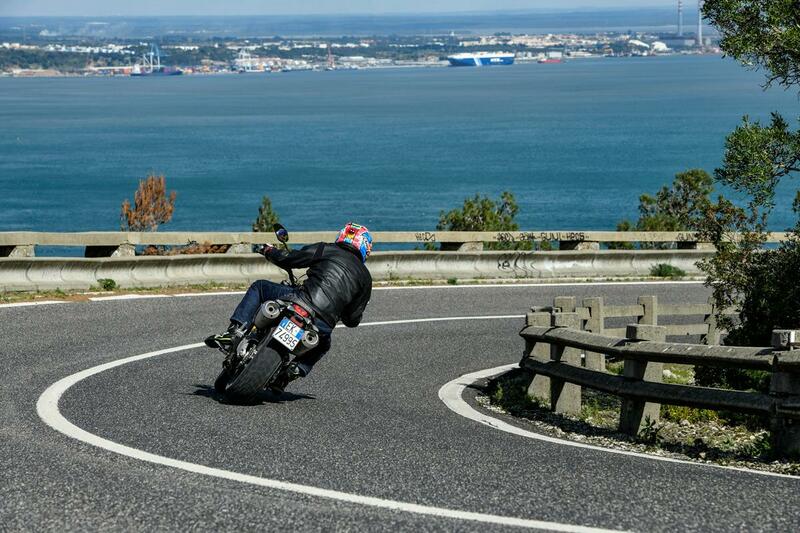 Learn about the other Ducati Scrambler models. 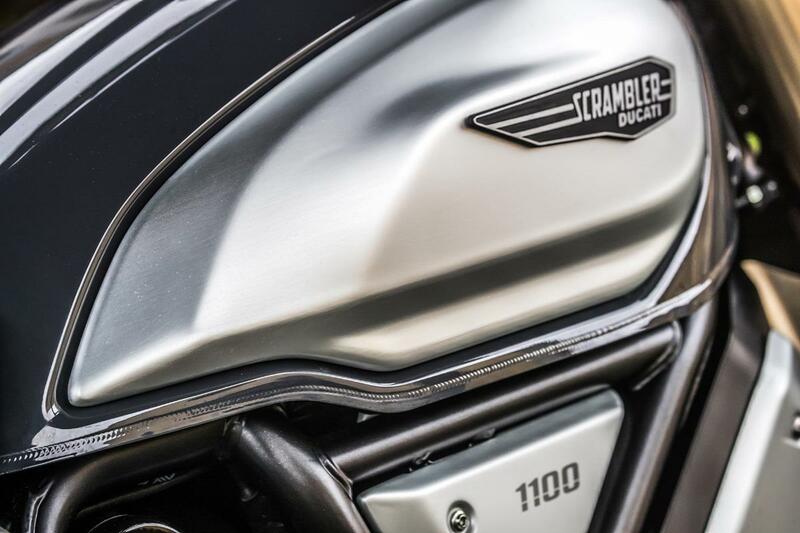 Compared to the smaller Scramblers the 1100 sits tougher and more muscular. It’s 50mm wider, 69mm longer and the seat is 20mm taller and 43mm longer for more space to move around. There’s an extra disc up front, gripped by Brembo four-piston radial calipers, a larger 15-litre tank, a wider (120/70 x 18) front tyre and chunkier forks, up from 41mm to 45mm diameter. Now the Scrambler has a shimmering ‘big bike’ feel to it. With its natural bar, seat and peg position it’s all-day comfy for taller riders and low enough for shorter ones, too, but wind protection isn’t great, as you’d expect from an exposed naked. Brakes are packed with feel-good power and dual-purpose Pirelli MT60 RS tyres have gluey wet and dry grip. The new steel trellis frame and ali swingarm give the Scrambler 1100 a stiff feel and the suspension is firm too, which is heaven when the roads are smooth. The harder you jam it into corners the better it feels. The Ducati is an unruffled, racy little devil with light steering, towering ground clearance and more cornering capability than power. It’s the perfect recipe for fun, but show the Scrambler 1100 some bumps, it loses its composure and the suspension action is crude. The ride lacks fluidity, composure and it jumps, hops and shimmies over road imperfections. 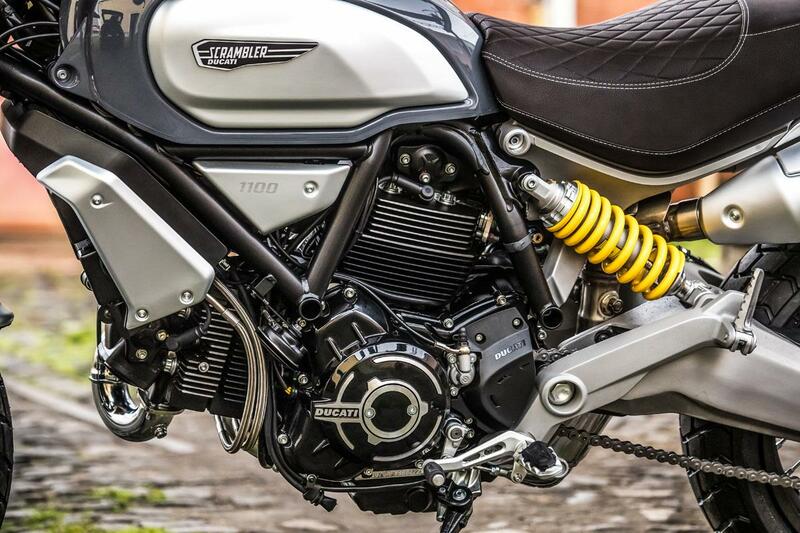 The Ohlins suspended Scrambler 1100 Sport has a lovely balance to it. It’s composed and naturally wants to roll into corners. The new suspension holds the chassis; it doesn’t wallow or move around even when you up the pace. Equally, the suspension doesn’t jar over imperfections. The twin 320 discs with Brembo radial calipers offer real stopping power, and can be used to the full effect as the new 48mm forks keep everything under control, they don’t dive like a faintly tackled world cup player. Stability is impressive; the back doesn’t want to overtake the rear in emergency braking situations. 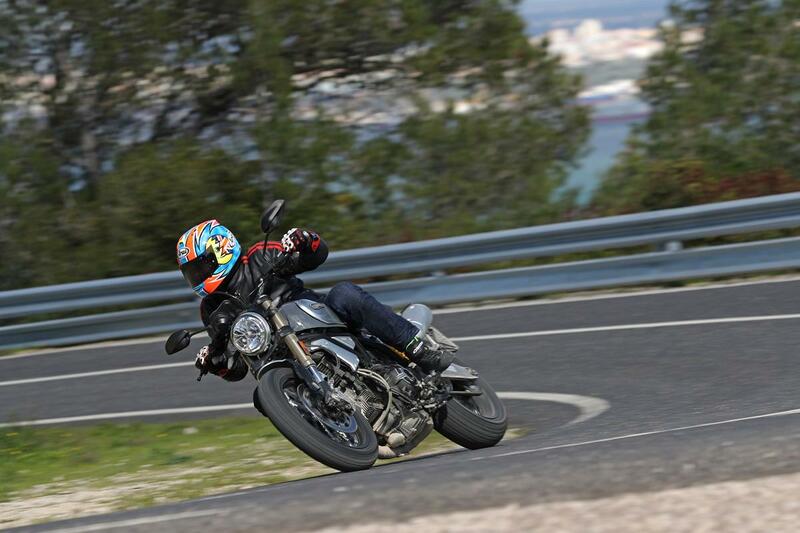 The new springs allow you to make full use of the Ducati’s easy handling. It handles far better than it should, and all the time you have excellent rider aids, like cornering ABS at your fingertips. Even the off-road looking Pirelli rubber is impressive. 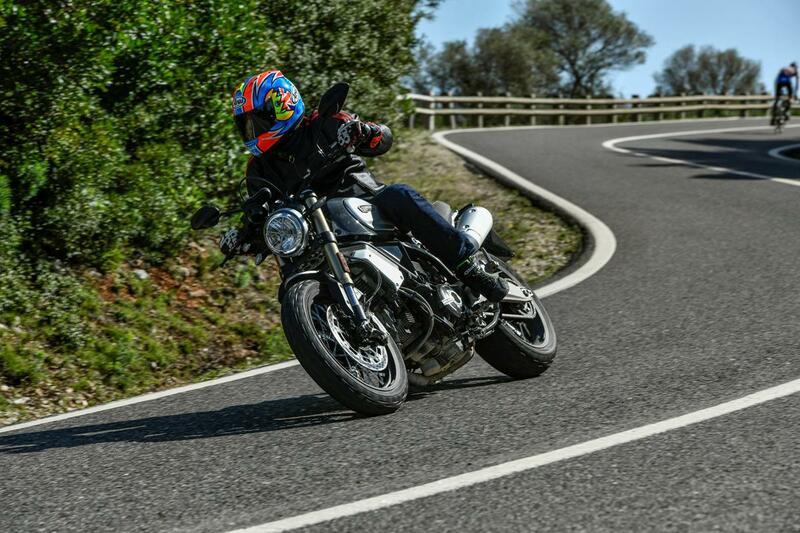 You’d think the Ducati’s big-capacity new motor would fire the new Scrambler 1100 into fast retro territory, ready to challenge the 110bhp BMW R nineT, 109bhp Kawasaki Z900RS and 96bhp Triumph Thruxton but it doesn’t quite have the get up and go you’d expect. 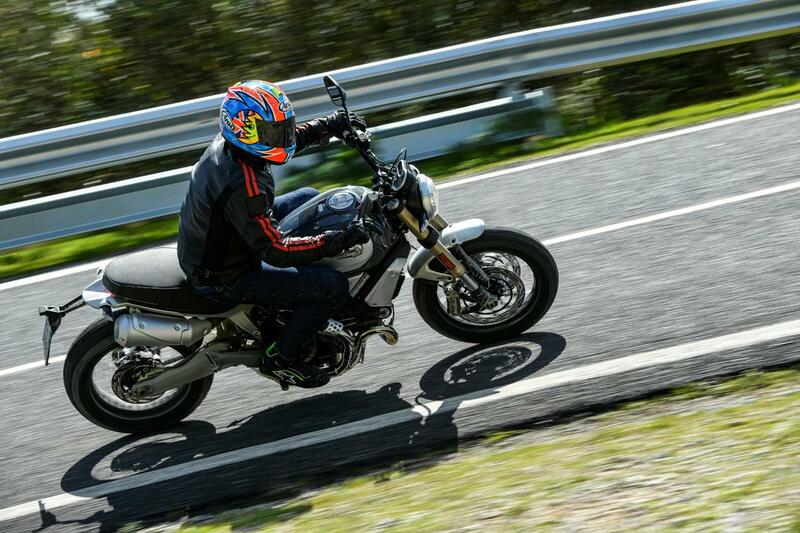 Instead the 85bhp, 206kg Scrambler is a torque-injected street prowler and more rugged sand racer than road racer. 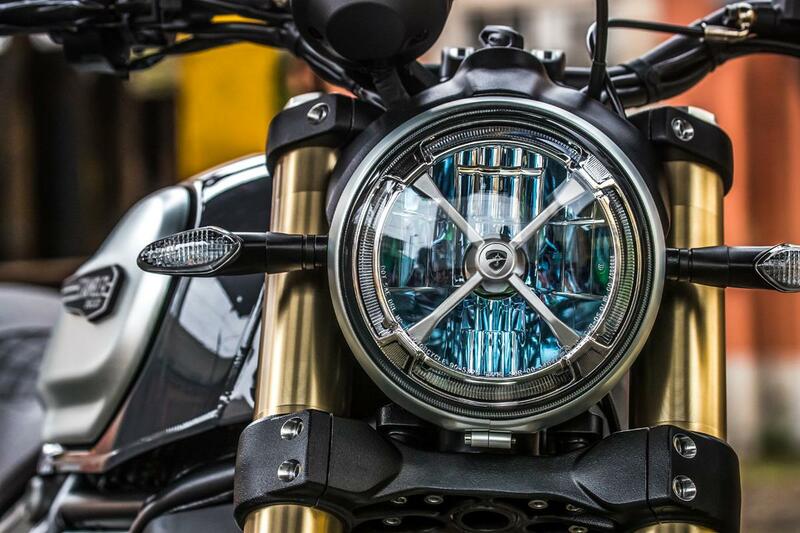 This engine is also shared by the Scrambler 1100 Sport. Ducati claimed 100bhp and 77ftlb of torque when this faithful old 1100 EVO V-twin lived in the 2011 Monster, so it’s been tamed for its new retro home. The tried and tested two-valve air-cooled motor now wears its Euro 4 shackles, has ride-by-wire, a 16-degree valve overlap (for extra grunt) and a single 55mm throttle body. 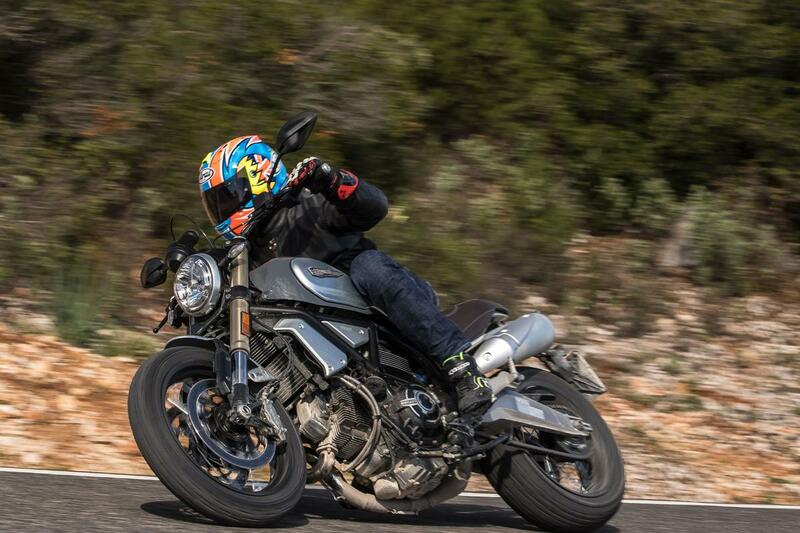 It may not rip your arms out of their sockets, but Ducati can boast some of the best ride-by-wire throttle responses in the business and the Scrambler 1100’s is up there with the best. Power delivery, even from walking pace, is as flawless as un-trodden snow and a lesson to just about every Japanese manufacture out there. 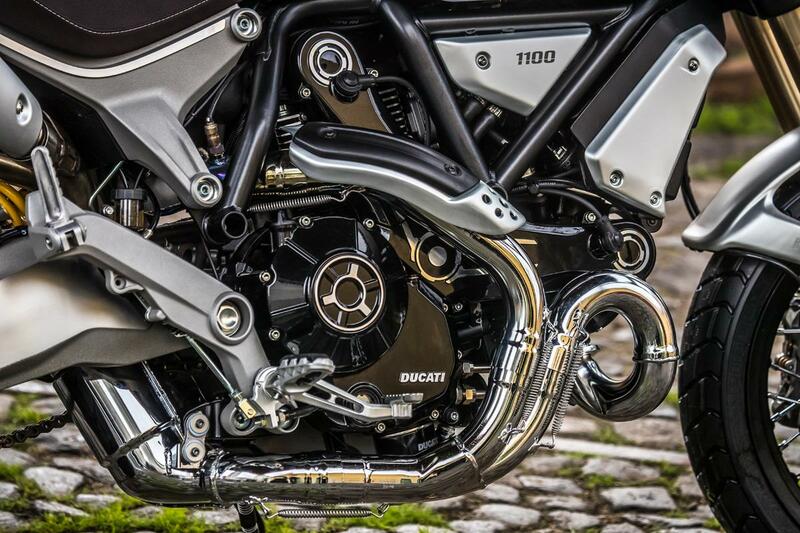 Just as the Bologna beardies claim, the V-twin foams with easy, but not intimidating, grunt and without its water jackets the motor has that classic Ducati guttural raw when you work the light action twistgrip. Off the throttle the exhausts have more snap, crackle and pop than a hipster cereal shop. Every ride is a V-twin greatest hits sing-along. The Scrambler 1100 is plenty fast for the road, of course and has just the right amount of easy to manage power for cruising on a sunny Sunday morning, but you’d expect a bit more from a 1.1-litre lump. 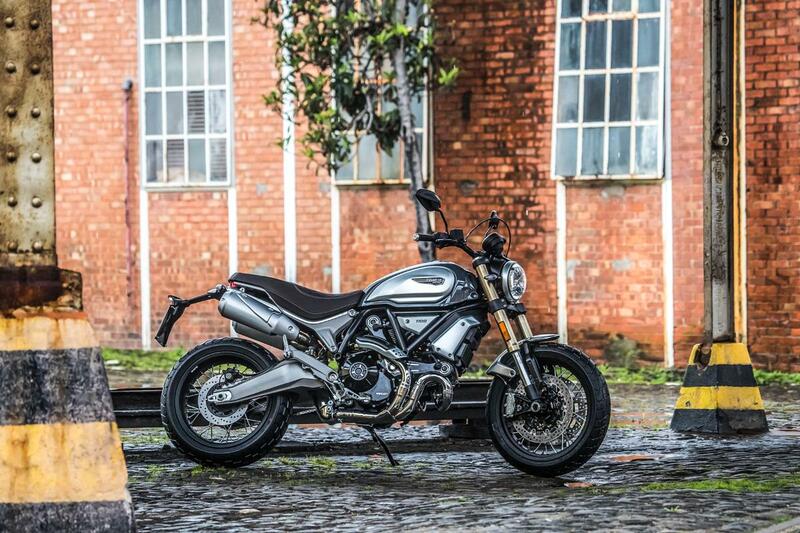 It’s 276cc bigger than the similarly styled 803cc Scrambler Icon, but it makes just 13bhp and16ftlb more. 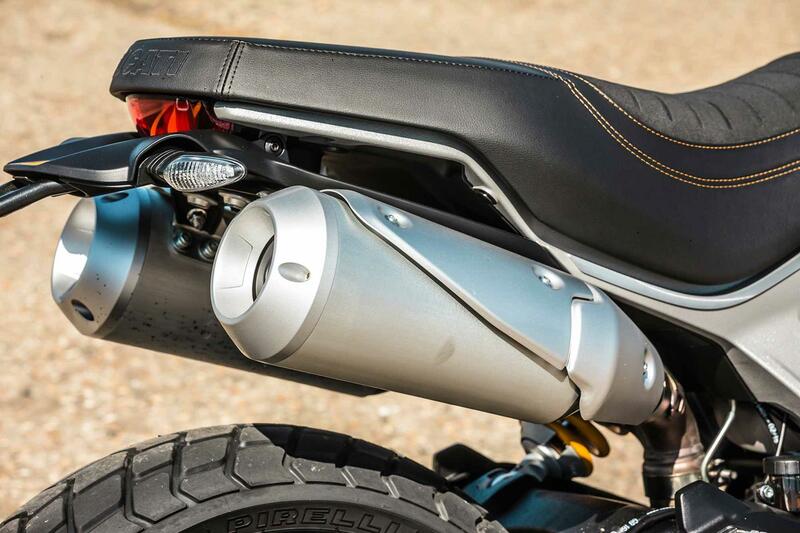 Much of that is cancelled out by weight: 206kg for the Scrambler 1100 and just 186kg for the Icon…but then they’re kerb weights and the 1100 holds 1.5-litres more fuel. Remember too that the 1100 Sport then adds an extra 3kg of weight to this figure. 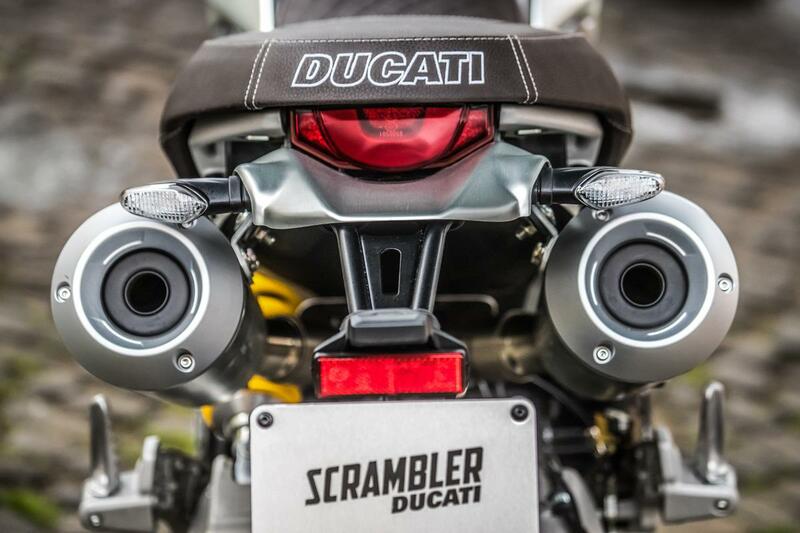 So far, there have been no real reports of issues with the Ducati Scrambler range. 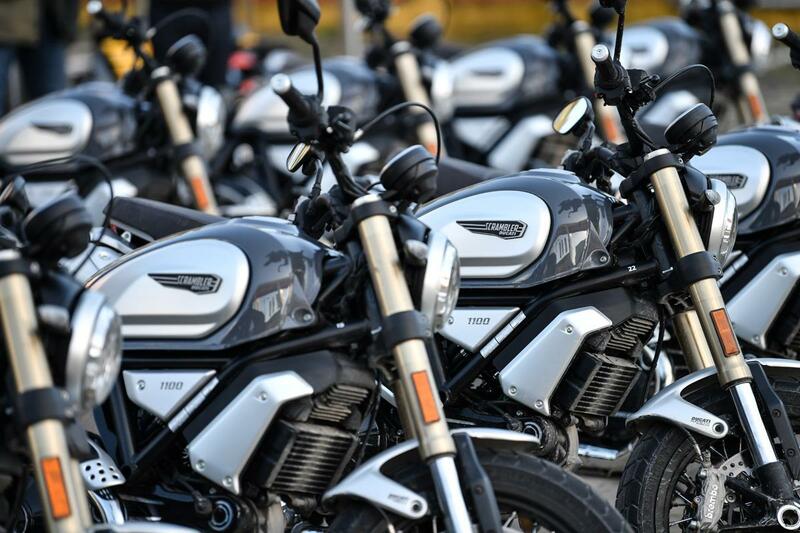 The original Scrambler has been out since 2015 and there have been no major issues, so expect more of the same from the 1100 with its tried and tested 1100 EVO engine. 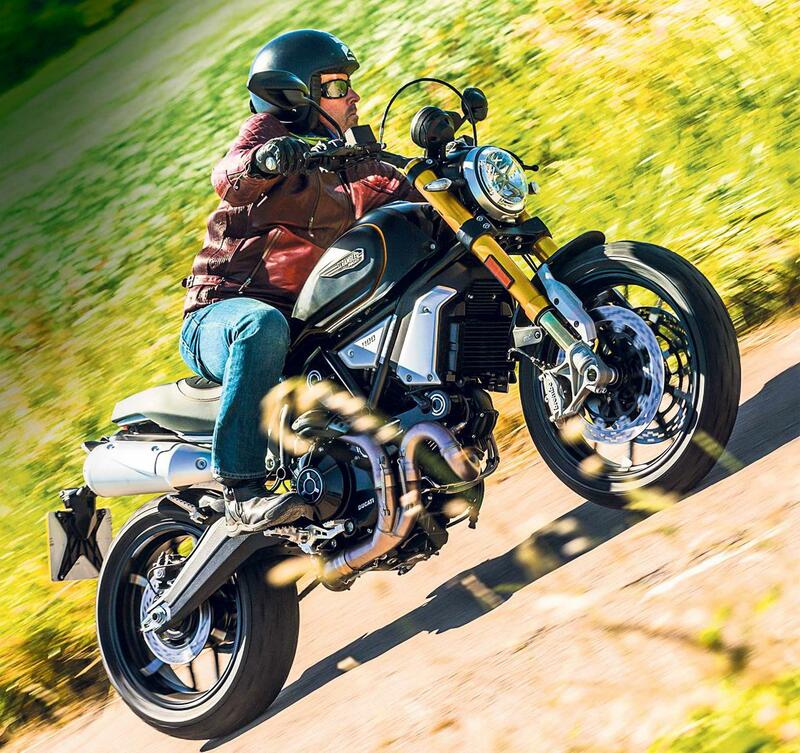 The standard Ducati Scrambler 1100 is not cheap for the performance on offer, but just like the best retros from BMW and Triumph the 1100’s attention to detail and build quality won’t leave you wanting for more. That said, the Scrambler 1100 Sport is £1600 extra over the base bike. 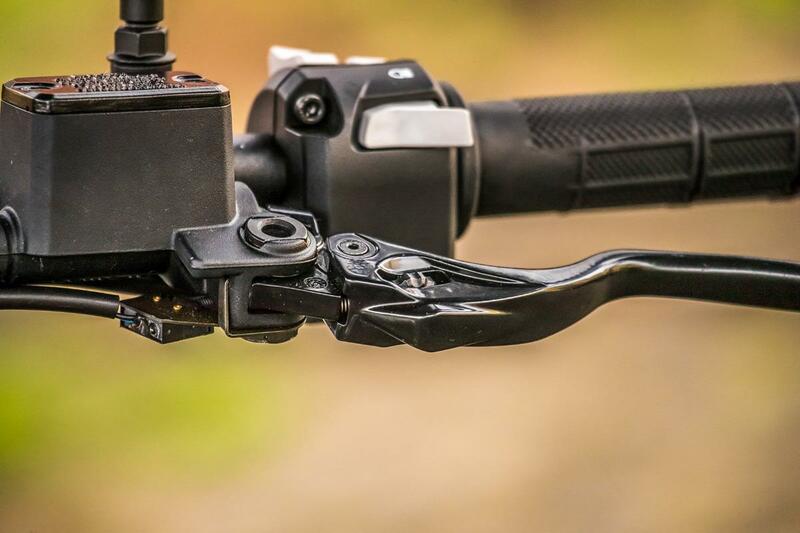 This is a little steep, but if you’re used to sophisticated multi-adjustable suspension, and regularly play with your settings, then it's worth upgrading to the Sport. The Ohlins suspension improves the ride quality, provides you with more adjustment and gives the Scrambler even more exclusivity. The standard bike is still fine though and a brilliant road bike. The engines are the same and the base bike is actually 3kg lighter. 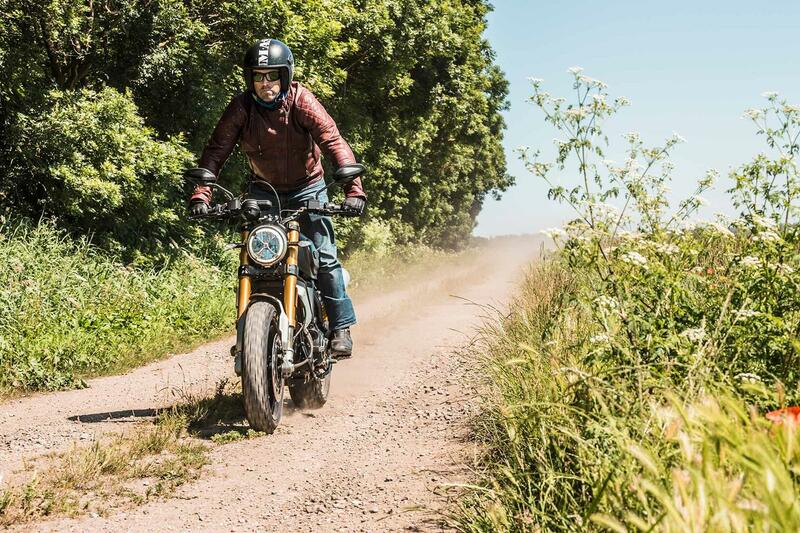 Traction control is a useful safety blanket to have, especially in the rain, but despite it being there ready in the background, the Scrambler 1100 has so much mechanical grip and poise it’s rarely called into action. 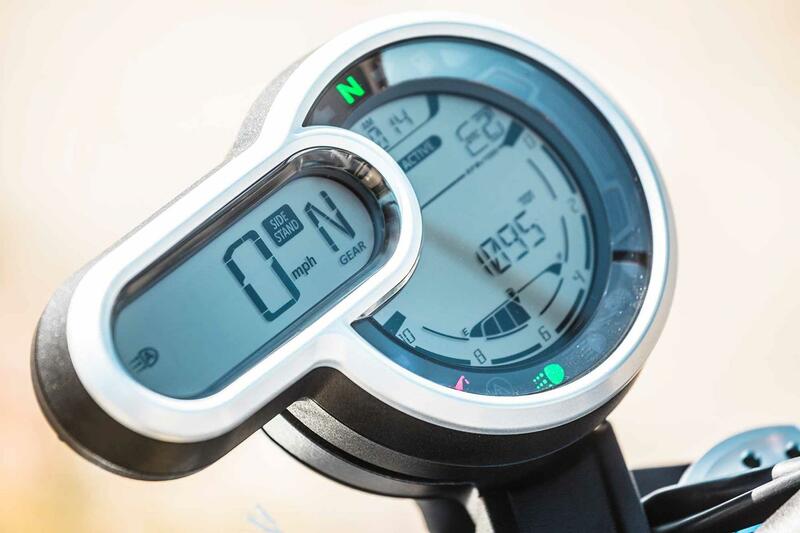 There are three riding modes with varying levels of traction control (which also can be adjusted separately) and throttle responses. The modes are renamed Active, Journey and City (from say, the usual: Sport, Touring and Urban). All have full power, except City, which clips the motor’s output to 74bhp. 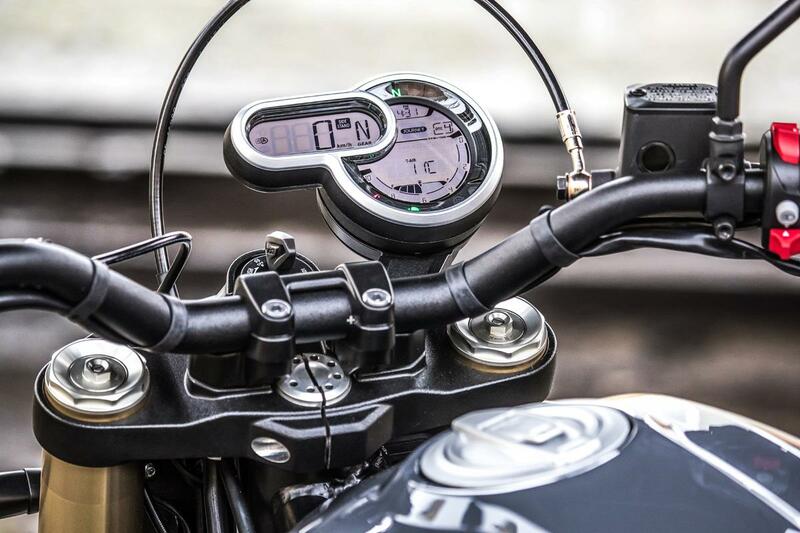 The 1100 has the kind of attention to detail that would make a Bimota owner proud: billet ali bar ends, braided steel brake hoses, digital dash, daytime running lights, adjustable suspension, quality fasteners, classy engine surface finishes and Brembos. The ‘X’ detail in the headlight mimics the tape scramblers had to put on to race back in the day. The Sport features tapered bars, but more importantly comes suspended on Ohlins fully adjustable suspension. 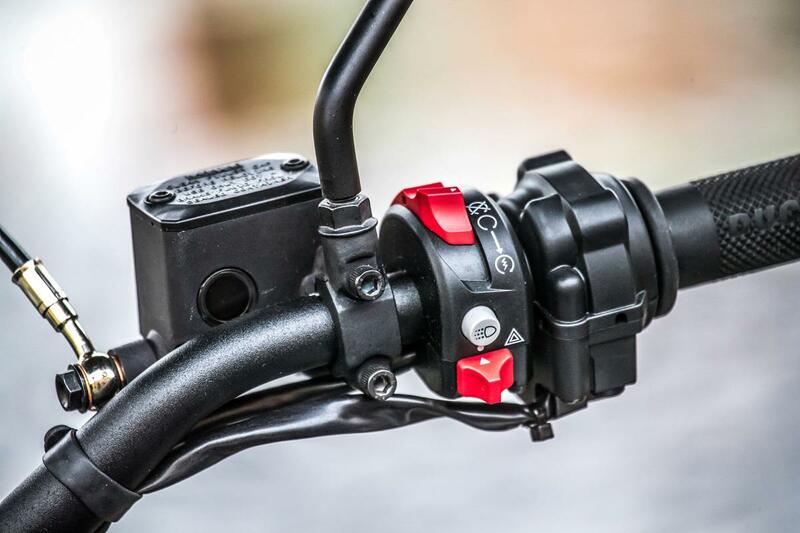 The new 48mm Ohlins USD forks substitute the 45mm-adjustable Marzocchi items and the side mounted direct rear Kayaba shock with preload and rebound adjustment is replaced by a fully adjustable Ohlins unit. Apart from the ‘Sport’ seat, it has the same brakes, wheels and engine (and therefore power) as the standard bike. The beefier suspension has added a little weight, now up to 189kg, from 186kg standard but it's not as heavy as the Special at 194kg. Like this bike? 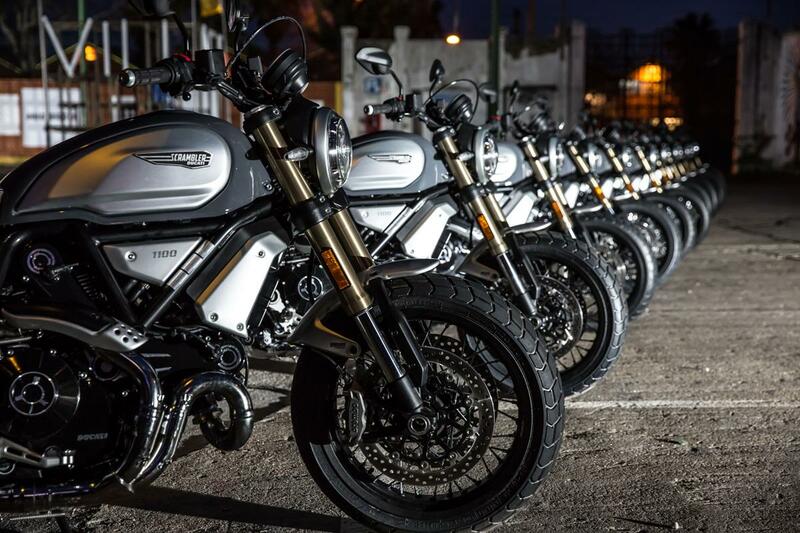 Find out more about the 1100 and other Ducati Scrambler models, as well as a list of the rivals you could be riding. 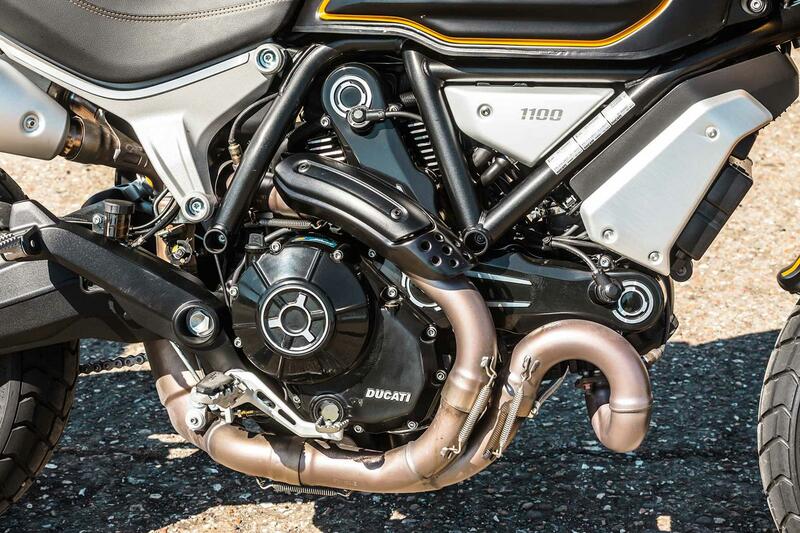 2018: Ducati Scrambler 1100 launched, featuring 1100 EVO-derived V-twin, electronics package, adjustable suspension, twin discs and larger physical dimensions than the 400 and 800 versions. Based on standard bike, with Anodised side cover, brown seat, brushed effect aluminium swingarm and mudguards, lower tapered handlebars, spoked wheels, chrome exhaust. Dedicated ‘Sport’ seat, lower tapered handlebars, fully-adjustable Ohlins 48mm forks and shock, adjustable for preload and rebound damping. 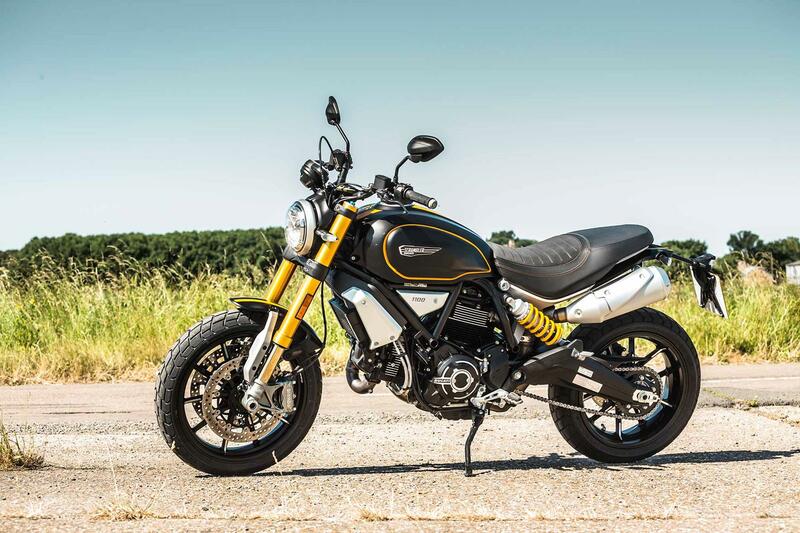 No owners have yet reviewed the DUCATI SCRAMBLER 1100 (2018-on).